Attorney Benjamin W. Lutgen is an associate attorney with the law firm of Kim & LaVoy, S.C. Mr. Lutgen is an experienced criminal defense attorney having focused solely on criminal defense work his entire career. He has handled hundreds of misdemeanor and felony matters and has a wide breadth of experience. Mr. Lutgen has practiced in courts throughout Wisconsin and has handled matters such as OWI (DUI), drug offenses, battery, domestic violence, embezzlement, and sexual assault. He has also handled numerous juvenile matters and probation revocation proceedings. Mr. Lutgen is an experienced litigator and has obtained not guilty verdicts in matters ranging from theft, aggravated battery, and sexual assault. He has also litigated numerous motion hearings challenging the admissibility of evidence. If there is a legal issue to be found, he will find it. Mr. Lutgen is a graduate of San Francisco Law School where he was named class Valedictorian. 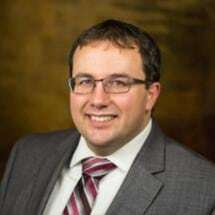 He is an active member of numerous professional organizations such as the Wisconsin Association of Criminal Defense Lawyers, the Milwaukee Bar Association, the Waukesha County Bar Association, and the Washington County Bar Association. Mr. Lutgen is admitted to practice law in the State of Wisconsin and the United States District Court for the Eastern District of Wisconsin, as well as in the State of California and United States District Court for the Northern District of California. In his leisure time, Mr. Lutgen enjoys camping, hiking, fishing, hunting, and spending time with his family.